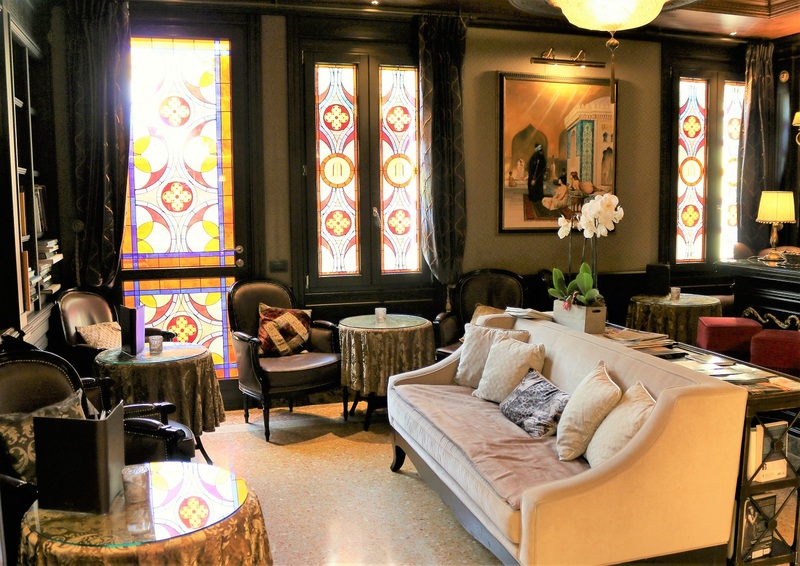 Hotel Moresco is a charming boutique Venetian hotel which is perfect for a memorable stay in Venice. 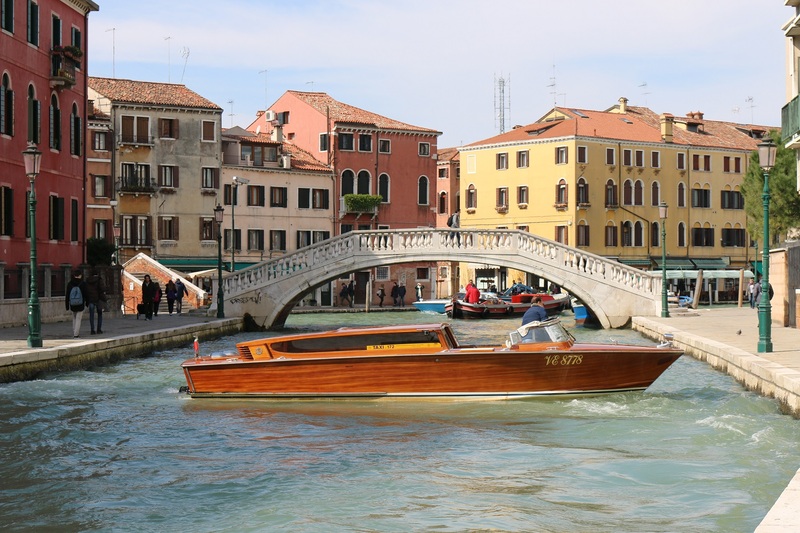 The luxury airport water taxi is the best way to get to the canal side hotel. It is a lovely cruise from the airport and will leave you feeling like a celebrity, arriving in style. 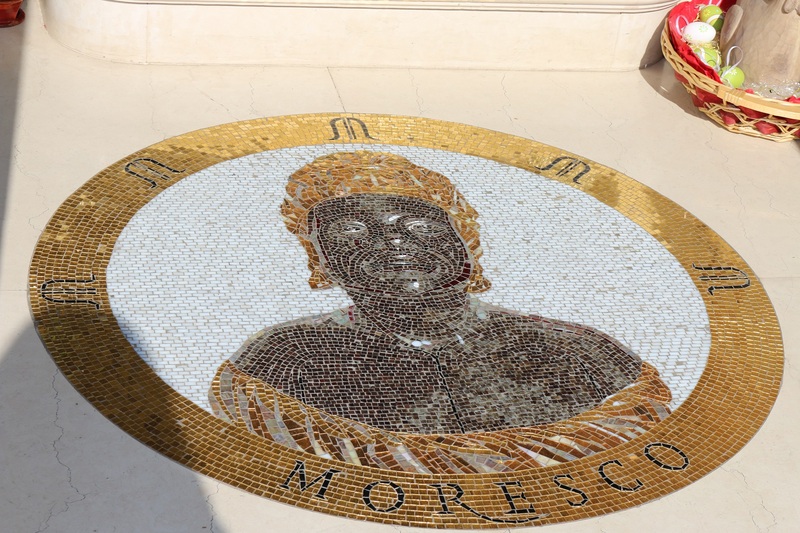 Whether it’s a romantic anniversary, a honeymoon or a momentous birthday, Hotel Moresco is just perfect. The service is truly exceptional. Staff are genuinely thoughtful, and friendly and strive to make sure the stay is just perfect. It is clearly apparent they are proud of the hotel and rightly so. 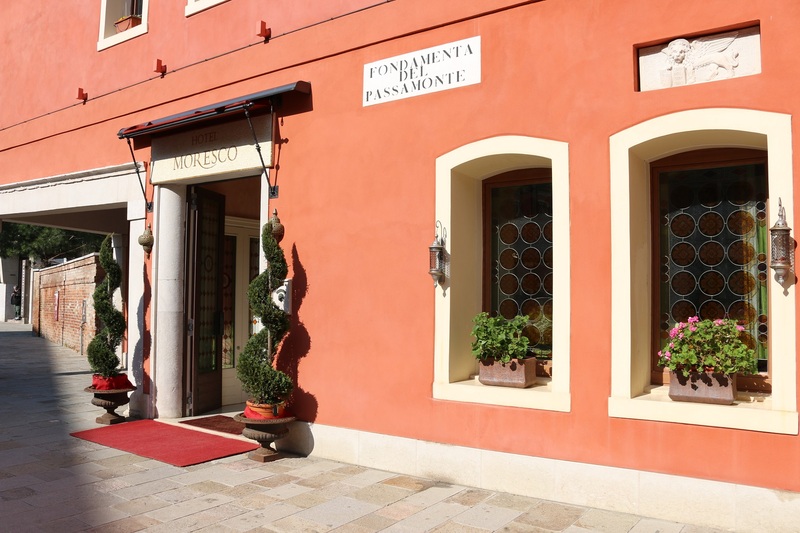 Hotel Moresco has such a homely feel, you won’t want to leave. 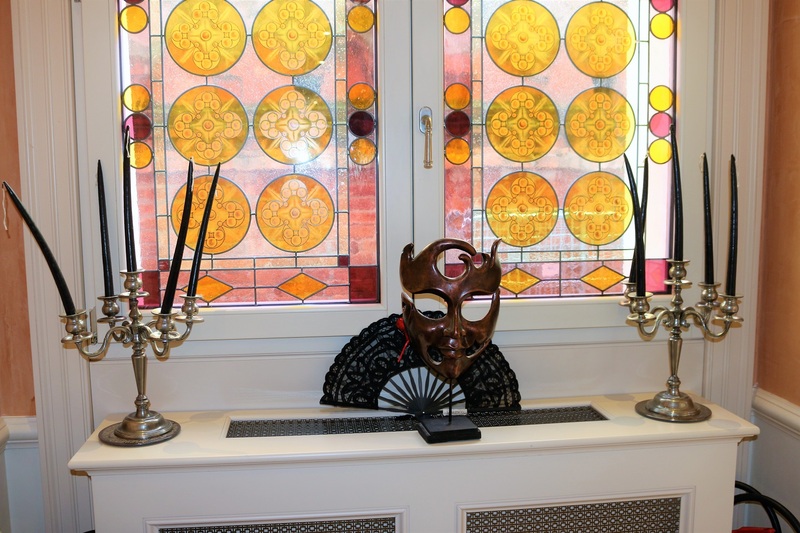 The hotel itself is beautifully appointed and has a lot of character throughout. 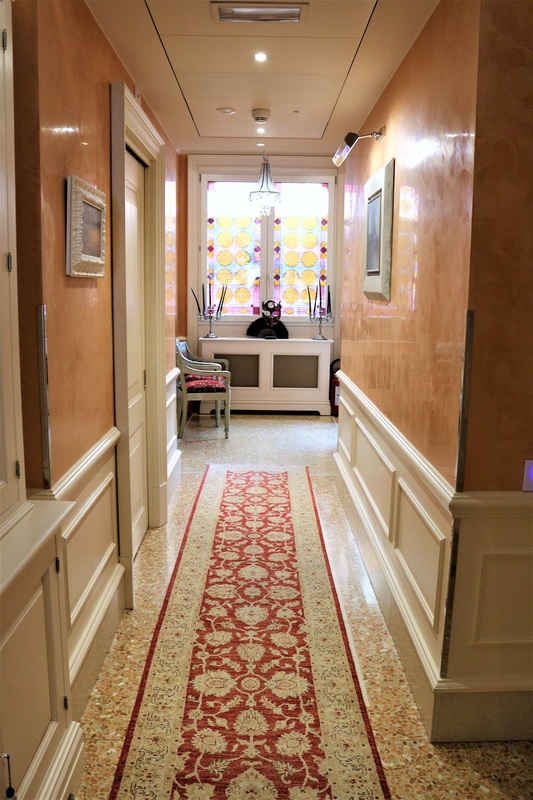 The Venetian styled rooms are sophisticated and classy. The combination of gold damask printed wallpaper and luxurious emerald sheets, are just dreamy. The beds are so comfortable you just sink in. It’s easy to not want to leave the hotel but there’s a beautiful city outside to explore. 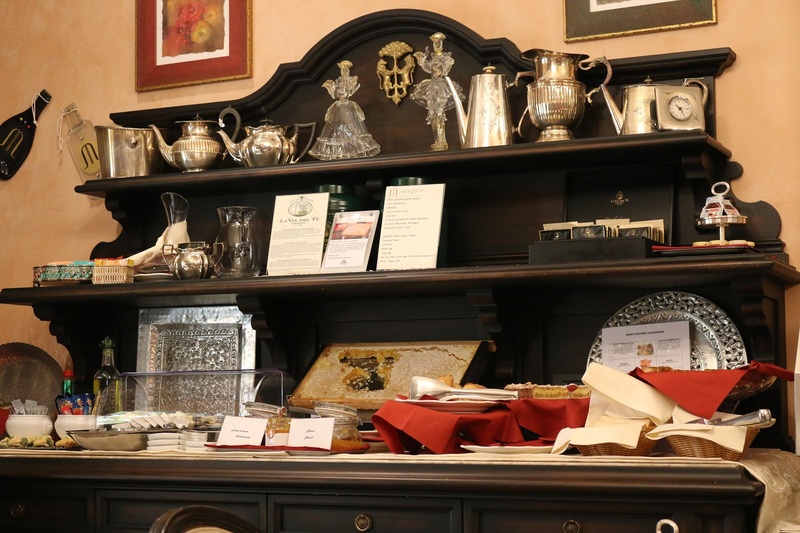 Continental breakfasts in Europe seem to have evolved and come a long way over the years. No longer does continental breakfast equate to meat, cheese, and bread. 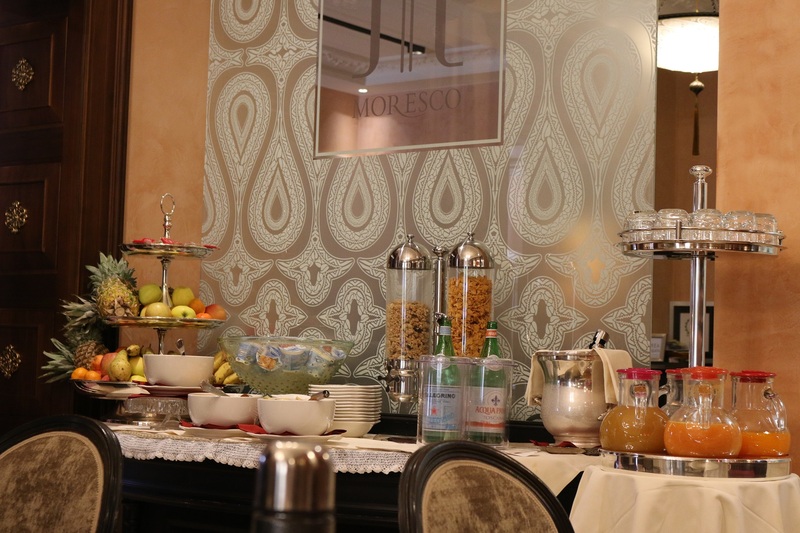 At Hotel Moresco they have a wonderful spread of warm bread baskets, cheeses, fresh cuts of meat, pastries and fresh juices. In addition to the array of cereals, eggs are made to order and served to the table. The breakfast room is just as elegant as the rest of the property. 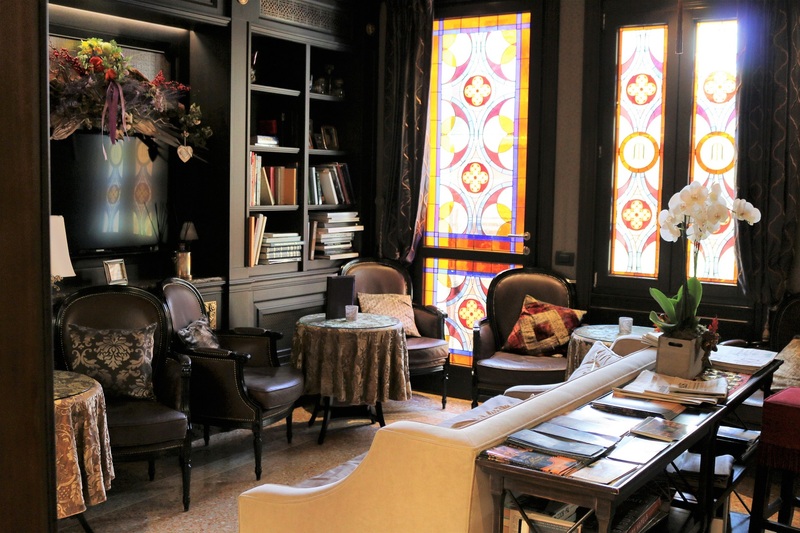 The traditional library is great place to lounge around, especially in the early afternoon when the hotel serve delicious complementary tapas style snacks. 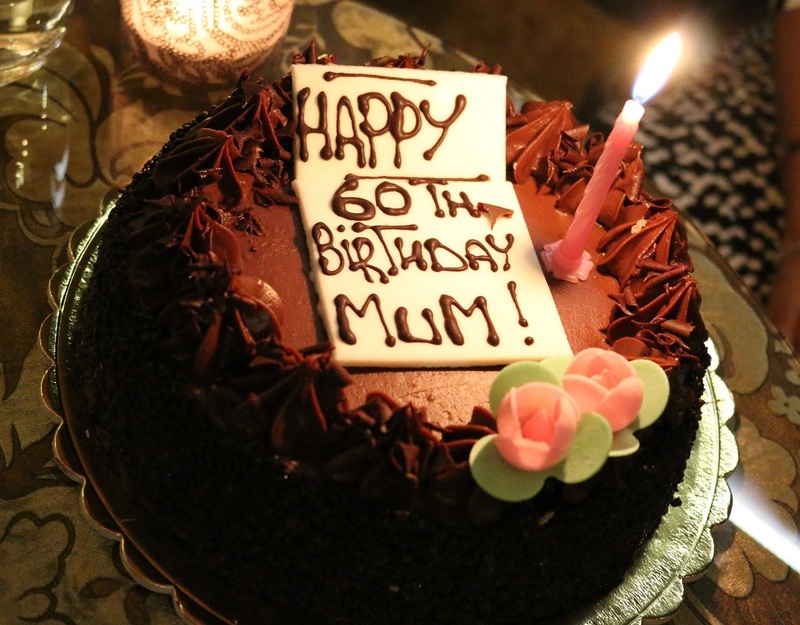 Celebrating a momentous 60th birthday, the hotel prepared an indulgent, moist, Venetian chocolate and cherry cake. 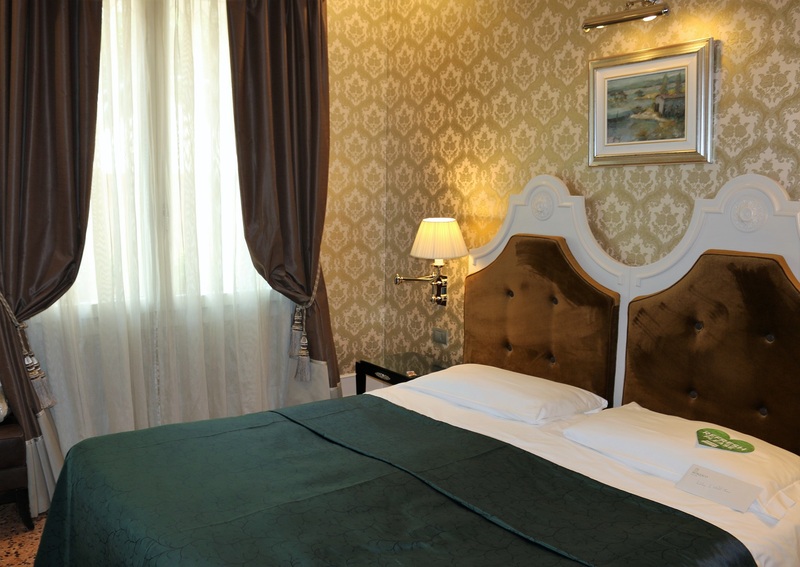 Hotel Moresco is a mere fifteen minute stroll over a fair few bridges, to St Marco’s square. 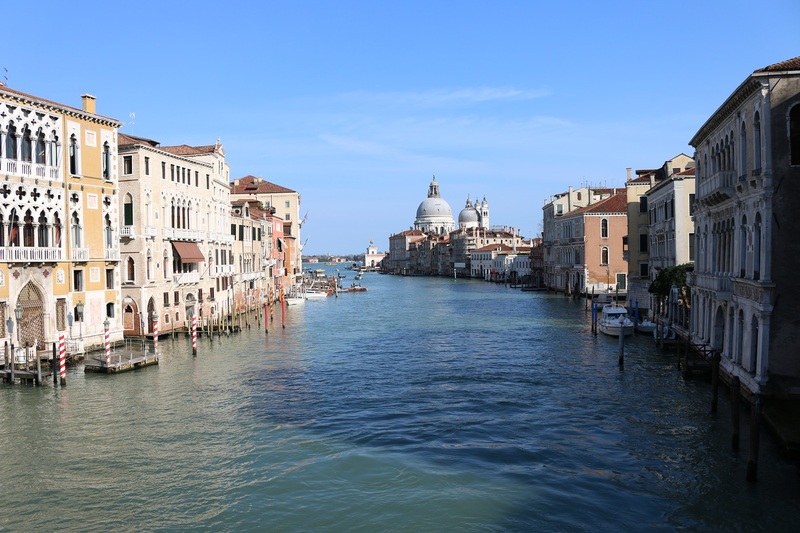 It’s away from the crowds and makes for an ideal location, for a special trip to Venice.